These luxury estates offer the best of both worlds: breathtaking views of Haleakala for sunrise, and stunning sunset views looking from Kaho’olawe to Lana’i. With more than 60 different homesites on a 30-acre development, these estates offer residents the ultimate privacy in gated neighborhood. Surrounded by the famed Wailea Blue Golf Course, these luxurious estates range from about $2 million to $8 million. World-class shopping, fine dining and spas are only some of the prestigious amenities offered in one of Maui’s finest resort communities. 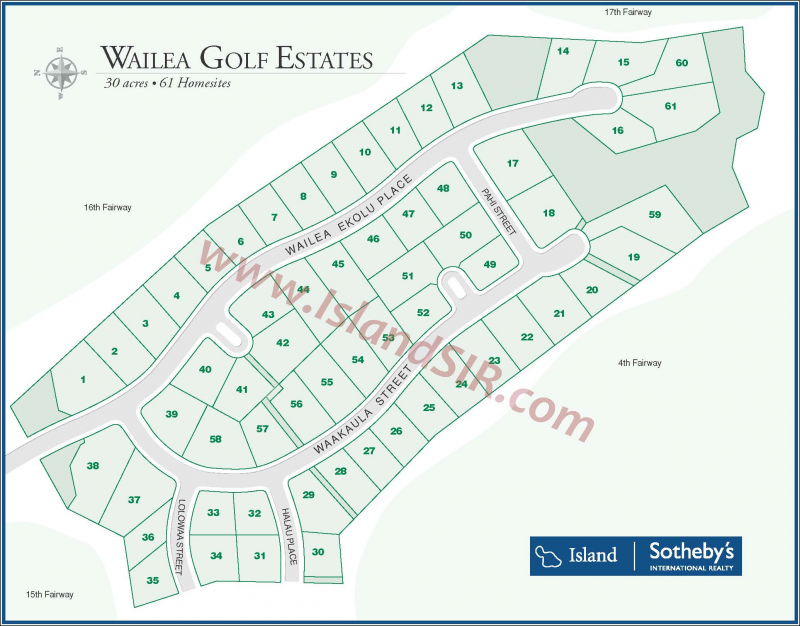 Thinking of purchasing or selling a Wailea Golf Estates home for sale? Contact us for a private consultation - our team encompasses some of the utmost experts in the Wailea real estate market who would be happy to answer any questions.